Cody Burkham, a senior political science and history major from Hope, has been named the first recipient of the William C. Nolan Legislative Internship. He arrived in Washington, D.C., on May 5, and hit the ground running the following day at his internship with Rep. Rick Crawford from Arkansas’ first congressional district. 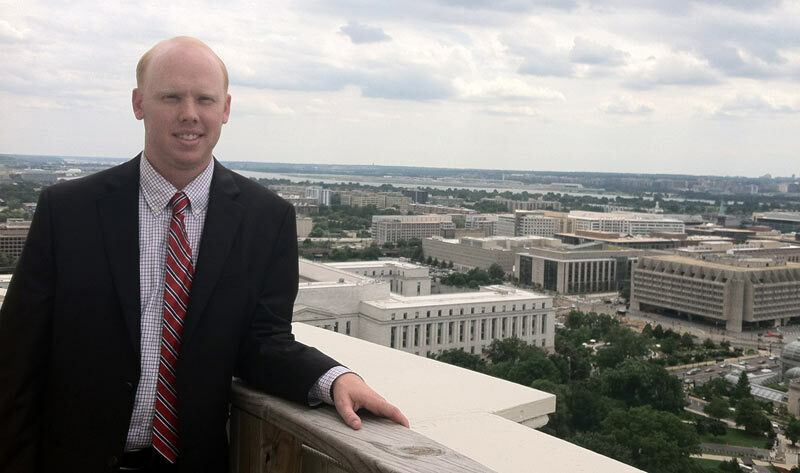 The William C. Nolan Legislative Internship Endowment was established more than two decades ago to make it financially possible for a student from the Department of History, Political Science and Geography to accept a summer legislative internship with the U.S. Congress. Many students require this assistance in order to accept such an internship because they typically work in the summer. The stipend from the Nolan Endowment will help overcome that loss of income while providing an opportunity for a student to learn hands-on about government. A U.S. Air Force veteran of the Second World War and the Korean War, Professor Nolan taught political science at Southern State College and SAU for 25 years, beginning in 1962. He also served as the chair of the social science division. He held degrees from Western New Mexico University and the University of New Mexico, with additional graduate work at New York University and the University of Mississippi. Upon retirement from SAU in 1987, he returned to his native state of New Mexico. He is now 91 and enjoys life in Silver Springs. Cody Burkham overlooking Washington, D.C. from atop the U.S. Capitol dome.